Weather: In November, Beijing turns wintery. The first snow usually falls in this month, but otherwise it is very dry. The average low and high temperatures are -1 °C (31 °F) and 10 °C (50 °F). November in Beijing is drier than October. There is about 10 mm (0.4”) of rain/snow on an average of 2 days. 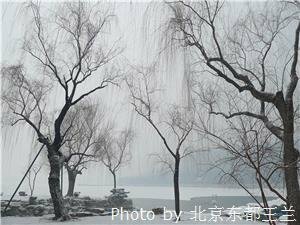 By late November Beijing averages below freezing, with the daily temperature range dropping to -4 °C (25 °F) to 3 °C (37 °F). But the first week of the month can be mild enough for outdoor activities, with temperatures up to 14 °C (57 °F). The temperature difference between day and night and two consecutive days can be larger than 10 °C (50 °F). Data Graphs: Below are graphics for Beijing temperatures and weather conditions for a typical November.Mostly November is clear, 29 out of 30 days are clear, only 1 day is misty. Clothing: Bring winter clothes such as sweaters and warm hats, and a thick winter coat. 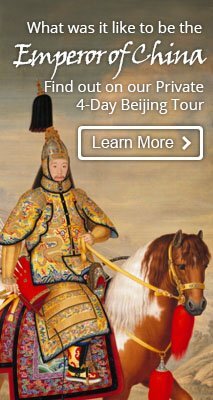 Go to see the foliage on the Great Wall in November. 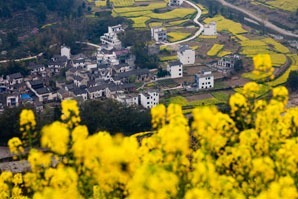 November is one of the best months to visit Beijing, when you can enjoy a China tour with less crowding and less cost. 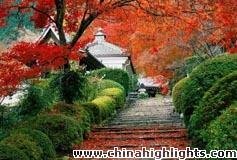 In October, especially during National Day holiday from October 1 to 7, tour prices are higher than usual, and attractions are crowded with Chinese tourists. And in December, it will definitely freeze. So, November presents a relatively comfortable low season opportunity. Early November is a good time to see red leaves in Beijing. 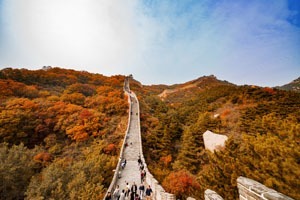 If you want to hike the Great Wall, go early in November to see the foliage. In the middle or the end of the month, you may have a chance to see a striking view of the Great Wall covered in snow.